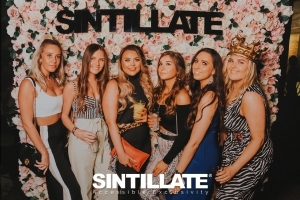 Join us for an evening of entertainment and suprises as we celebrate to launch of SINTILLATE VIP! Including special VIP guest appearances, top international DJs, live performances, fire shows, acrobatics, exclusive prizes and giveaways! Join us from 8pm and discover a delicious three course set menu while watching the magnificent sunset against the backdrop of the glistening Mediterranean Sea. Then, from 10 pm, the most exclusive party in Marbella takes place in Nikki Privé, Nikki Beach Marbella's on site Ultra-VIP Lounge that prolongs the one-of-a-kind Nikki Beach experience by night!